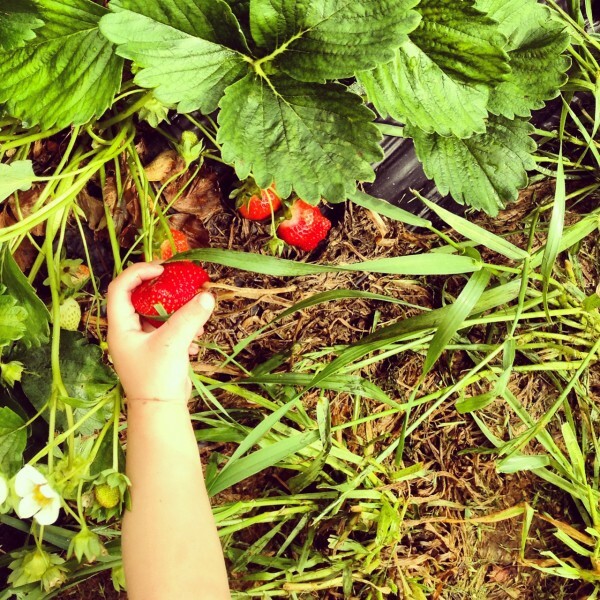 We try to make this an annual tradition where we pick strawberries as a family. It is so much fun and we happen to love strawberries. 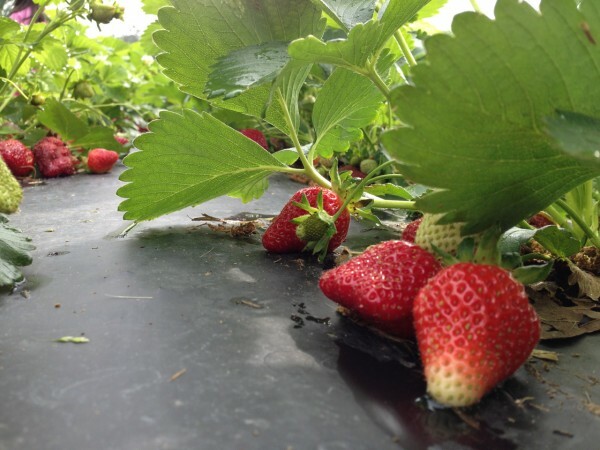 It is actually a ways for us to go pick strawberries but it is so worth it everywhere. The strawberries are so sweet and slightly cheaper than grocery stores. 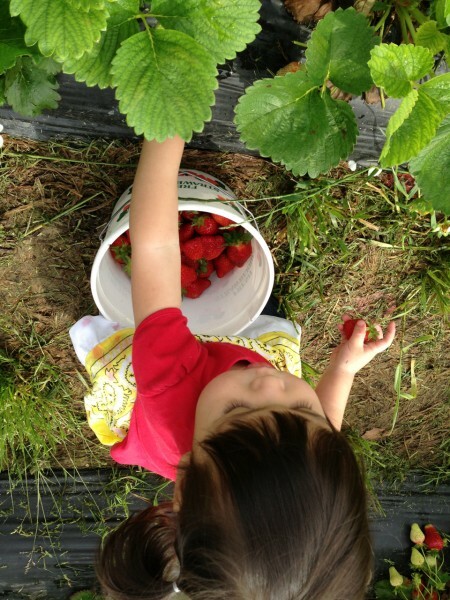 The girls have a great time helping out and filling up their buckets full of red strawberries. 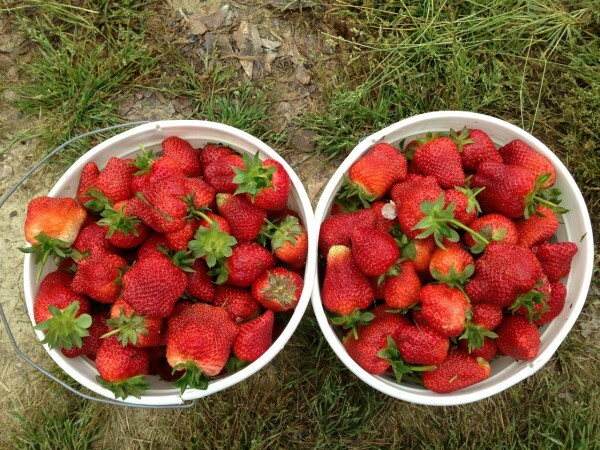 We picked over 25 pounds of strawberries. I had intention to make freezer jam with them. But never got around to it. So we froze most of the strawberries that we didn’t digest immediately for smoothies. 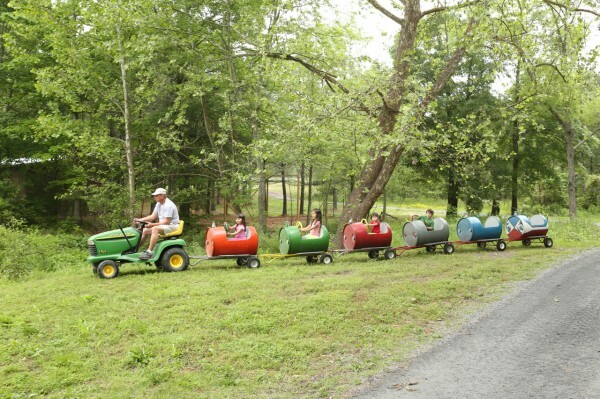 The strawberry farm had train rides for the kids. And not to mention the most delicious strawberry ice cream and homemade strawberry pies. I have to say, the Southerners know how to fry up some yummy pies. This was Eve’s first year picking by herself. She is strawberry’s no. 1 fan. So I was surprised when she didn’t eat as she went. » Tell me… Do you pick your own fruits? Or have you? What grows where you live? I have picked a few straberries and tomatoes.